I was provisioning my SQL box when I found I didn´t need an already provisioned Windows Server box I had used for Exchange 2013. Lazy enough I installed SQL Server 2012 on my already installed Windows box. Later on I learned that Exchange leaves things behind when you uninstall it and I figured it would be better to start with a fresh Windows Installation for SQL. Long story short, that is when I needed a method to transfer all my databases to my new server without too much struggle. I used to backup my databases and then restore them on the destination server… but things like server logins usually result in some manual work and if you are not careful something might not work right off the bat. Clearly I wanted a better method to transfer my databases to another server: The Copy Database Wizard! The Copy Database Wizard allows you to move or copy databases between servers. This is also used to upgrade databases from a previous version Server to SQL 2012. Remember that using this method you can copy associated metadata, for example, logins and objects from the master database that are required by a copied database. I recommend using the Copy options rather than Move. After you are done copying you can take the database offline if you want. Just keep in mind moving does delete the database from the source server after completion. Remember to copy all the metadata you such as logins and jobs, on the other server instance. For more information, see Manage Metadata When Making a Database Available on Another Server Instance (SQL Server). under Tasks click Copy Database. From the Select a Source Server page, specify the server with the database to move or copy, and to enter login information. After you select the authentication method and enter login information, click Next to establish the connection to the source server. This connection remains open throughout the session. Select the name of the server on which the database or databases you want to move or copy are located, or click the browse (…) button to locate the server you want. The server must be at least SQL Server 2005. Use Windows Authentication Allow a user to connect through a Microsoft Windows user account. Use SQL Server Authentication Allow a user to connect by providing a SQL Server Authentication user name and password. User name Enter the user name to connect with. This option is only available if you have selected to connect using SQL Server Authentication . Password Enter the password for the login. This option is only available if you have selected to connect using SQL Server Authentication. Next Connect to the server and validate the user. This process checks whether the user is a member of the sysadmin fixed server role on the selected computer. From the Select a Destination Server page, specify the server where the database will be moved or copied. If you set the source and destination servers to the same server instance, you will make a copy of a database. In this case you must rename the database at a later point in the wizard. The source database name can be used for the copied or moved database only if name conflicts do not exist on the destination server. If name conflicts exist, you must resolve them manually on the destination server before you can use the source database name there. Select the name of the server to which the database or databases will be moved or copied, or click the browse (…) button to locate a destination server. You can use a destination that is a clustered server; the Copy Database Wizard will make sure you select only shared drives on a clustered destination server. Allow a user to connect through a Microsoft Windows user account. 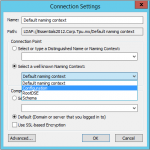 Allow a user to connect by providing a SQL Server Authentication user name and password. Enter the user name to connect with. This option is only available if you have selected SQL Server Authentication. Enter the password for the login. This option is only available if you have selected SQL Server Authentication. Connect to the server and validate the user. This process checks whether the user has the permissions listed above on the selected computers. From the Select a Transfer Method page, select the transfer method. This method makes the database unavailable to users during the transfer. From the Select Database page, select the database or databases you want to move or copy from the source server to the destination server. See Limitations and Restrictions in the ‘Before You Begin’ section of this topic. Displays OK if the database can be moved. Otherwise displays the reason why the database cannot be moved. Start the validation process, and then move to the next screen. From the Configure Destination Database page, change the database name if appropriate and specify the location and names of the database files. This page appears once for each database being moved or copied. From the Select Database Objects page, select the objects to include in the move or copy operation. This page is only available when the source and destination are different servers. To include an object, click the object name in the Available related objects box, and then click the >> button to move the object to the Selected related objects box. To exclude an object, click the object name in the Selected related objects box, and then click the << button to move the object to the Available related objects box. By default all objects of each selected type are transferred. To choose individual objects of any type, click the ellipsis button next to any object type in the Selected related objects box. This opens a dialog box where you can select individual objects. Include logins in the move or copy operation. Selected by default. Include stored procedures from the master database in the move or copy operation. Extended stored procedures and their associated DLLs are not eligible for automated copy. Include jobs from the msdb database in the move or copy operation. Include user-defined error messages in the move or copy operation. Include endpoints defined in the source database. Include full-text catalogs from the source database. Include SSIS packages defined in the source database. From the Location of Source Database Files page, specify a file system share that contains the database files on the source server. This is required if the source and destination server instances are on different computers. The Copy Database Wizard creates a SSIS package to transfer the database From the Configure the Package page, customize the package if appropriate. Displays where the SSIS package will be written. Enter a name for the SSIS package. Provide a path for the location of the log file. This option is only available if the text file logging option is selected. From the Schedule the Package page, specify when you want the move or copy operation to start. If you are not a system administrator, you must specify a SQL Server Agent Proxy account that has access to the Integration Services (SSIS) Package execution subsystem. Start the move or copy operation after you click Next. Start the move or copy operation later. The current schedule settings appear in the description box. To change the schedule, click Change. Open the New Job Schedule dialog box. Select an available proxy account. To schedule the transfer, there must be at least one proxy account available to the user, configured with permission to the SQL Server Integration Services package execution subsystem.To create a proxy account for SSIS package execution, in Object Explorer, expand SQL Server Agent, expand Proxies, right-click SSIS Package Execution, and then click New Proxy.Members of the sysadmin fixed server role can select the SQL Server Agent Service Account, which has the necessary permissions. From the Complete the Wizard page, review the summary of the selected options. Click Back to change an option. Click Finish to create the database. During the transfer, the Performing operation page monitors status information about the execution of the Copy Database Wizard. After you use the Copy Database Wizard to upgrade a database from an earlier version of SQL Server to SQL Server 2012, the database becomes available immediately and is automatically upgraded. If the database has full-text indexes, the upgrade process either imports, resets, or rebuilds them, depending on the setting of the Full-Text Upgrade Option server property. If the upgrade option is set to Import or Rebuild, the full-text indexes will be unavailable during the upgrade. Depending the amount of data being indexed, importing can take several hours, and rebuilding can take up to ten times longer. Note also that when the upgrade option is set to Import, if a full-text catalog is not available, the associated full-text indexes are rebuilt. For information about viewing or changing the setting of the Full-Text Upgrade Option property, see Manage and Monitor Full-Text Search for a Server Instance.If the compatibility level of a user database was 90 or 100 before upgrade, it remains the same after upgrade. If the compatibility level was 80 or less before upgrade, in the upgraded database, the compatibility level is set to 90, which is the lowest supported compatibility level in SQL Server 2012. For more information, see ALTER DATABASE Compatibility Level (Transact-SQL).